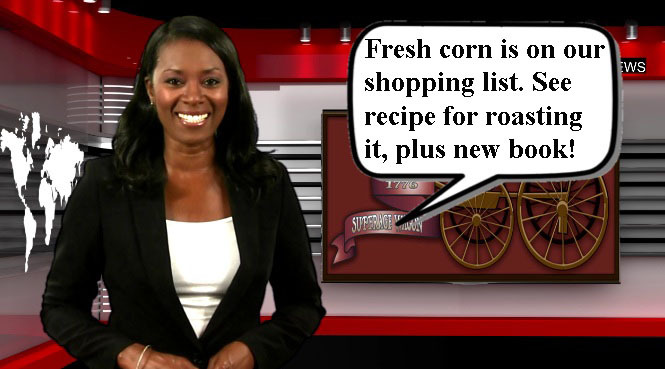 Roast Corn: A special recipe from Suffrage Wagon Cooking School on Vimeo. Fresh corn from the fields is plentiful right now, so it’s time to review the demonstration from Chef Cutting at Suffrage Wagon Cooking School. Canned corn won’t give you the results of fresh corn. Frozen corn is great in a pinch. But this is when fresh corn is at its flavor best. 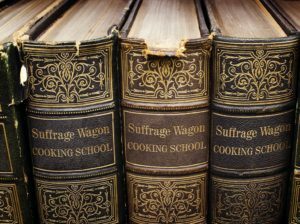 Suffrage Wagon Cooking School recipes make our day! on Vimeo. It’s a suffrage movement cookbook just published by a UK press while the 100th anniversary of women voting in 2018 is still fresh in people’s minds across the ocean. The suffrage cookbook, originally published in 1915 and now reissued, features Jack London’s favorite duck recipe and Charlotte Perkins Gilman’s “synthetic quince.” The Brits are celebrating the centenary of the 1918 Representation of the People Act, not full suffrage, but partial. Published by Aurora Metro Books, the vintage suffrage collection from 1915 and published in Pittsburgh, PA, features “Pie for a Suffragist’s Doubting Husband” and Charlotte Perkins Gilman’s “synthetic quince.” Gilman isn’t yet a household name of those involved in the US suffrage movement, but she’s someone with whom the residents of Woodstock, New York are familiar because she’s considered by many as Woodstock’s founding mother of the art colony founded in 1902. Celebrate women’s freedom to vote. Suffrage Wagon News Channel has been publishing since 2009. Visit Suffrage Wagon Cooking School and check out what’s going on.